Detectives Jack James and Danny Owen are on the trail of a killer. But not just any murderer. A cold and calculating executioner accomplishing what police and the courts could not: bring vengeance upon those who beat the system and escaped punishment for heinous crimes. Crimes that seem echoed in the retribution the avenging angel is meting out in some real world expression of ‘an eye for an eye’. But as the partners identify and close in on a suspect, the bounds of right and wrong, justice and vengeance, begin to blur. So much so that one detective begins to doubt just who is adversary, and who is ally. If you’d like to read a sample, just follow THIS LINK. 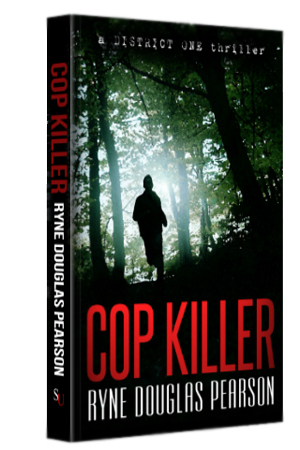 Cop Killer is the first book the ‘District One Thriller’ series. The second book, Maiden America, will be released in 2014.